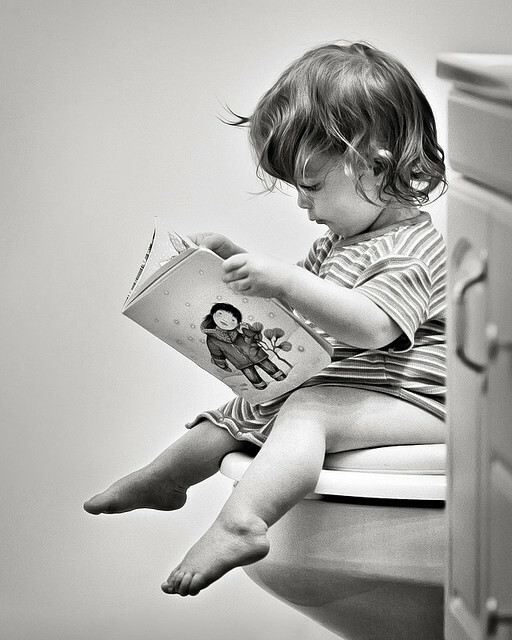 Toilet training of kids is a rite of passage towards eventual independence. During this time, parents are tasked to look for the signs that will tell them that their young children are ready. This is an experience that should be maintained with a positive attitude since any negativity will just tend to prolong the training. When Does Toilet Training of Kids Start? Toilet training should start when a child is ready, not earlier nor later. Training kids to use the potty too early results to resistance while doing it too late may result to unchecked bad toilet habits. Translated to numbers, readiness is expected to occur sometime between 22 to 30 months of age. It is possible however that a child may still not be emotionally ready to potty train even if he or she has become of age. By experience, girls are easier to toilet train than boys. While the former average at 36 months of age to be fully potty-trained, the latter average a little over at 38 months. Kids can be considered ready for potty training when they are able to control their bladder and bowel muscles. Some signs of this are regular bowel movement, retaining a dry diaper even after a nap, and having no bowel movements during the night while sleeping. It is also highly ideal that kids are able to perform basic motor skills before toilet training commences. Children up to 5 or 6 years old will still require assistance in wiping and washing themselves even if they have been sufficiently toilet-trained. This would involve teaching them proper hygiene practices. Parents of young children should consider checking on their children once in a while to see if they require any further assistance. 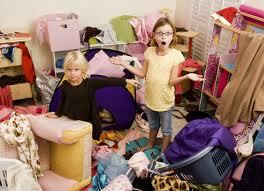 Toilet training should not be stressful especially for the children. In fact, it should be fun to make it easier for everyone. Parents should tap on their creativity to do this. Some of the suggested ways is to create a fun bathroom atmosphere. There are many attractively-designed potties for children available in the market. It would help if parents can make the regular toilet look as friendly as possible in the eyes of a child. This is easily achieved by using a variety of colourful toilet seats that will facilitate ease of transition from children's potty to regular toilet. Toilet training of children starts when the child is ready and not when parents deem it convenient for them. Every phase of child development has its time and it will not always be the same for all. The last thing parents should do, if at all, is to force their children to do something just because the other children his or her age are already doing it. That said, any form of child training will require patience and persistence from parents. Parents need to find that style that will tend to encourage their children to follow instead of forcing them out of fear. This is not only true in toilet training of kids but in other aspects as well which are expected to be faced by parents and children together. Fairies are what childhood make-believes are made of. Mythical and mini human-like creatures with wings and magic dust that can make us fly. They weave their magic and sometimes grant wishes of humans. I thought I will not live to see the day that I will be visited by one. It was a pleasant surprise therefore when the Fairy Hobmother finally came to visit my blog today. Fairy Hobmother is the fairy that has been spreading joy and happiness in the blogosphere for several years. He visits blogs and leaves a $50 Amazon voucher to every lucky blogger chosen and who commented on other blogs he has previously visited. This is his way of inviting people to visit www.appliancesonline.co.uk to see what other magic they can find in this site. He simply loves to give, give, and give. 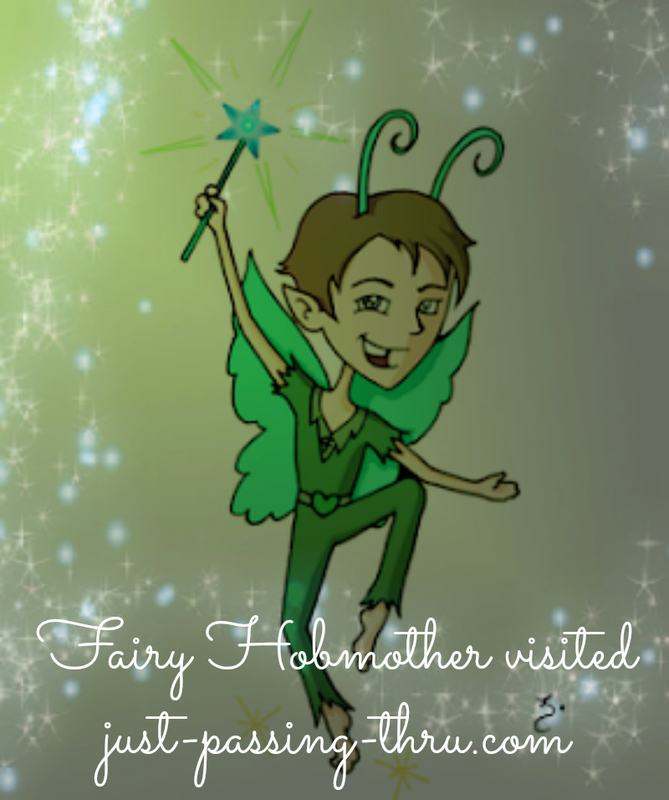 You can get the chance to have your blog visited by the Fairy Hobmother by commenting on this post. Let's just say he likes to see bloggers happy and uses his magical powers to do that. While I was writing this, my youngest daughter saw Fairy Hobmother's image and asked me in what story he appeared so she can read it. She is quite familiar with the fairies associated with childhood like the Tooth Fairy, Tinkerbell from Peter Pan, Blue Fairy from Pinocchio, Fairy Godmother, and even the fashionable fairies of the animated series Winx Club. I explained to her though that Fairy Hobmother was a special fairy of bloggers like her mom and that he would be seen fluttering around blogs spreading his magical dust all over. And then she asks if her personal artwork blog will be visited as well, I said he might in the future. However, I reminded her to make sure to take care of her blog by updating it every once in a while. She smiled as she remembered it has actually been a while since she did that. Like any other child, she likes to imitate grown-up activities and blogging just seem to be one of them, at least in our household. Whether blogging becomes a serious endeavor for her in the future or not, I leave it to her. For now, she can continue with her make believe adventures with fairies. Make-believe or pretend play is very healthy for children's intellectual development. It allows them to explore possibilities which seem impossible in the real world. Adults can also use imaginative play in teaching their children adopt positive values and practices. That said, even in a make-believe persona, Fairy Hobmother gives real benefits and opportunities to bloggers. Many blogs have already been visited and maybe your chance will come soon. Grab that chance and comment below. I got to thinking about the role that Ambos Mundos Restaurant played in Philippine culinary history when someone from a foundation related to a known restaurant emailed me as to the possibility of obtaining photographs of Ambos Mundos . They intended to use such photographs as part of an audio-visual presentation related to tracing the history of the Philippine culinary industry. This made me realize even more that Ambos Mundos Restaurant has indeed managed to carve its space in Philippine culinary history. The idea of putting up a restaurant that serves Filipino and Spanish dishes came from the mind of an unexpected source. A petite, unmarried lady from Bulacan by the name of Felisa de Leon thought that there was potential in serving dishes commonly enjoyed by the Filipino masses in a quick way. During that time, the term "fast-food" and the "tapsilog" variants probably haven't been coined yet but Ambos Mundos Restaurant was already at it. Of course, fast-food in our context means to be able to serve freshly-cooked food in minutes. The atmosphere in the main restaurant in Estero Cegado and the other branch in Quiapo was quite relaxed and informal. The Ermita branch had a more "elite" feel. No matter, these three Ambos Mundos Restaurant establishments attracted and served popular movie stars as well as more private individuals and families. This was during the time of Jose "Nene" Gaudinez Jr. and his siblings, Luis and Carlos. It looked like it will go on and on. By some unexpected twists and maneuverings, the real Ambos Mundos Restaurant was pushed into a forced slumber while a pretender tries to capitalize on its name. People however do not easily forget the genuine taste and continue to look for it. It would seem that a popular business name under the hands of people with no real history in it is nothing. As the legitimate trademark holder up to this time, I, Maria Teresa Gaudinez fight on. I am often tempted to give up the fight for Ambos Mundos Restaurant but I wonder why every time I grow weak in spirit, something will come up to remind me about my responsibility and so I fight on. I write articles like this just to serve as a constant reminder to the public not be misled. I do not gripe, I just lay down the facts as they are. That said, today April 20 is the death anniversary of my father. This is the time when I get reminded the most why I should not give up. This day makes me remember more than ever that no one has the right to take away my family's right to the name AMBOS MUNDOS RESTAURANT. Swimming must be made a safe and enjoyable activity for kids to truly benefit from it. Summer vacation has always been associated with swimming time especially for the kids. Even before its start is formally announced in school, many children will be asking their parents to bring them to the nearest pool or a farther beach destination. Aside from being the most refreshing activity to do in summer, swimming provides many benefits not only to children but to adults as well. 1. Swimming is able to provide various health benefits including the stimulation of muscles and strength development without the usual stress and impact associated with other exercises. It is also an ideal cardiovascular workout which children wouldn't actually mind since most would be willing to be in the water for an extended period of time. 2. Swimming facilitates social benefits. The activity encourages children to interact with other children. It is quite seldom that a child would enjoy swimming alone and in one corner. Competitive swimming develops positive attitudes in children including sportsmanship, discipline, and teamwork. 3. Learning to swim can save lives. In fact, swimming is the only sport that can achieve that. Acquired skills in swimming is useful up to adult life. 1. Parents should make sure that children learn how to swim from a responsible adult. If they cannot do it themselves, they can enroll their kids in swimming classes to learn even the basics. Unless a child wishes to engage in swimming competitively, it may not be necessary to take all the swimming classes recommended by swimming schools. Taking them though, if possible, equips children with more skills they can use to keep them safe or save others, when necessary. 2. It is always best to have children swim in suitable attire and use appropriate equipment. There is a reason why swimming attires and equipment have been designed that way. It is also a must to use sun protection to prevent painful sunburning of their young skin. 3. Children should always be reminded not to indulge in unsafe activities in the pool or beach such as pushing, intentional diving over another, and anything that can result to bodily injury and accidents. Swimming is a fun activity but the slippery physical environment plus the deep water are not exactly conducive for safe pranking or jokes. Learning to swim is probably one of my biggest frustration in life. I never had a chance to learn it and that has severely limited the enjoyment I derive from swimming activities. I hope to change that with my children. That said, I am seriously thinking of learning how to swim. I have included it in my personal bucket list of things I want to accomplish in life. Oh well, better late than never. I am way past the diaper days of my children, my youngest being 8 years old. This doesn't stop me however from appreciating a good product when I see one. Today I was introduced to Bamboo Dappy diapers, a must-have for environment-loving mothers, through a sponsored event aptly called "Tea Talks". Much like a relaxing afternoon tea made popular by the English, the event proceeded smoothly without much fanfare but definitely filled with genuine enthusiasm of the women-organizers for a cause which they sincerely believe in. Saving the environment was the main topic and doing this through the use of environment-friendly products is one way where mothers can truly make a difference. The event featured a short talk from the representative of WWF-Philippines. WWF is one of the world's largest conservation organizations which has been in existence since 1961. Another worthy presence in the event is that of Holy Carabao Holistic Farms which introduced 100% farm-fresh goods to the attendees. Their individual yet interconnected causes are both worth separate write-ups which I hope I can do some time in the near future. In the words of mommy Jenny Chua, who is the proud owner of Bamboo Dappy, the Dappy brand came to be because of a personal search for the best alternative to disposable diapers. It is no secret that disposable diapers are just one of the products that continue to present environmental issues. Do you know that it would take 250 years for most disposable diapers to completely decompose? What is particularly interesting about Dappy diapers is its use of the bamboo fabric. Aside from being earth friendly, the bamboo fabric makes it possible to produce diapers that are softer and more absorbent while offering better ventilation to baby's skin. Dappy diapers are also hypoallergenic and antibacterial. Given the convenience of using disposable diapers and the expected resistance of some mothers to having additional work in washing cloth diapers, everyone still should be doing his or her part in making this world a better place to live in. The use of cloth diapers such as Dappy is just one small but doable effort which mothers can accept as part of parental responsibility. Taking responsibility always connotes concern beyond the present generation. Achieving something as big as saving the environment starts with small, individual commitments. Unless we start with what can be done on a personal basis, achieving what is actually global in scope can prove to be impossible. Dappy is just one of the products that dare to make a positive change. During the diaper phase of my own children. I have always practiced using the traditional "lampin" alternately with disposable diapers. Although using the latter presents its advantages especially when we go out, I saw the need to provide my children relief from the discomfort of continuous use of disposable diapers. The good old "lampin" provided that relief when we were at home. That said,Dappy diaper is certainly a modernized and more convenient version of the "lampin". Instead of the pins and clips on the side, there are the velcro tapes. Instead of the all-white "lampin", there are the various colors and designs to choose from. Young mothers of today really have more choices while babies get to benefit from the advantages. It wouldn't be so bad to consider helping save the environment one Dappy diaper at a time. In case you're wondering about what was written on the boards hanging on our necks, they are actually written personal commitments to preserving our environment. Why is it so difficult to search for the perfect gift for my husband? It has to be that one thing that could put that elusive smile on his face without breaking the bank. Although I am again clueless as what to give him for his birthday today, I can think of at least three factors why it is no easy feat to find that much sought-after gift for a very special person like my husband. It is true. My husband does not ask for any material thing. For the life of me, I cannot remember one instance when he asked to be bought something for himself. In fact, during the rare times when our family goes out shopping for our necessities, he always returns the items meant for him and reasons that his things are still usable. He keeps his gifts for future use or he give them to his loved ones. If you are the kind of gift-giver who is excited to see him use your gift immediately, you are bound to be disappointed. The gift either goes straight to storage to be used at some opportune future time or be given to one of our children or relatives. He is kind of "love-it-to-bits-guy" who do not dispose his things until their use have been maximized. Now, that our son is already as tall as him, he has the tendency to pass on new clothes, shoes, and other men' accessories to our son, reasoning that he does not go out often anyway. He is most happy when the gift he receives can be enjoyed by the whole family. This is probably the most difficult cost-wise, if you are a gift-giver who wish to make him truly happy. He is most happy when the gift he receives is something he can share to his family. Thus if you are thinking of treating him to a special place for example, you must make sure that it will not only be for him but can accommodate at least us, his immediate family. If this is not possible, he will usually pass on the gift to a relative who can avail of the gift on his own. Again, he reasons that it will not be fun anyway when he goes alone. My husband has been the giver for the most part of our relationship. 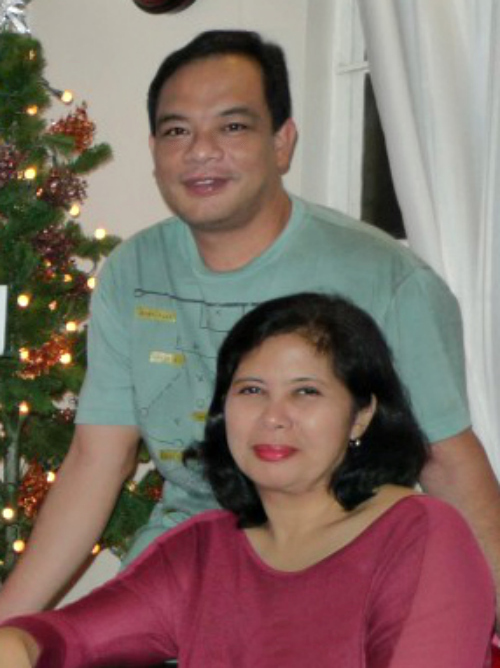 His giving side became more evident when our children came. Sometimes, I am almost driven to the point of exasperation when it seems to me that he is overdoing it. Of course, I would like him to enjoy as well. That said, as of this writing, I still don't know what to give the man who has given us so much of his time, his strength, and his love. Often, I'd wish I could say to him he can have one day off from his responsibilities just to enjoy his birthday but since it's just us with the kids and a big pile of waiting domestic and writing jobs, I couldn't. You see, he does the research required to expedite my writing tasks. Besides, I know no matter how we push him away even for a day, he won't budge and go on his merry way of serving and giving, and will be no less happy for it. If you were in my place, what do you think is the perfect gift to give to a husband like mine? In honor of my father, April has been designated as Just Passing Thru's anniversary month. In connection with this, this blog will be holding a commenting contest from April 1 to 30, 2013. Only one comment will be chosen as the best. Comments add value to a post. It enriches the article especially if it is able to encourage a lively and healthy discussion about the issues being discussed. Comments sometimes can either reinforce existing views or change them, depending on the strength of the presented arguments. Of course, it is not the primary aim of commenting to change minds of others but to air genuine views that can be useful to the discussion. It is always best for readers to comment on posts or articles that actually manage to affect them in some way, whether intellectually or emotionally. This is the only way that people can provide useful comments. Commenting for the sake of commenting is not productive. Although commenters are basically free to say what they want, maintaining courtesy at all times even in differences of opinion is important. The atmosphere should not be hateful or destructive. The owner of the site can choose to "control" commenting in so far as not publishing comments that are clearly hateful or destructive. The question of allowing the publication of comments totally not connected to the topic or containing links can only be answered by the site owner. Ditto for anonymous comments. 1. Choose any post from this blog (except this one) and leave one insightful comment with no spammy links please. Commenters can choose to comment on up to five posts. Each comment is considered a unique entry to the contest. 2. Email your name using a valid email address together with the url of the post you commented on to adapio.martinez@gmail.com. Your correct email address is important so we can contact you in case your comment is chosen to be the best. Anonymous comments are automatically deleted and are not qualified for this contest. 3. Contest starts on April 1, 2013 and ends on April 30, 2013. The name of the winner will be announced on May 1, 2013. 4. The lone winner will get $25.00 to be credited to his/her PayPal account. 5. The determination of the best comment is based on its relevance to the chosen post. The blog author and the blog manager will choose the winner and their decision is final. Relevant comments are very useful to bloggers like me. Comments need not always be in agreement with my personal views for me to consider them good. They just need to be presented clearly with genuine and respectful convictions. That said, I hope everyone who reads this can provide at least one entry to make this contest a lively and exciting one. While you're at it, can you please like this blog's Facebook Fan page? I'll appreciate the support very much. Congratulations to Ms. Lainy Belle for winning this contest and many thanks to all those who joined.